NEW PIANO COVER OPTIONS ! Actually, I am certain that you could learn a lot from any of these books since I am a bit of a generalist, and most of these books are very specific works. This means that the authors have exceptional skills. The only problem may be that the author could be assuming you already know the basics of tuning and theory. If this happens, set the book aside for a while, and study my online book to catch up. In compiling this list, I see a couple of books I must order. One can not afford to stop learning. 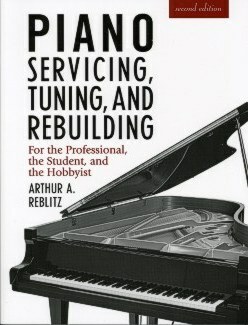 HINT: The best books on piano repair and adjustment in the world are written by ARTHUR A. REBLITZ, and they are both found below. We are the only source of the book in a three ring binder. You will be able to lay the book out flat as you work. Reblitz is second to none in teaching and writing skills. To find the Reblitz books quickly, use your browser "FIND" option. The books below are technical and repair books not commonly found elsewhere. changes every time we look for one. So, you will see "INQUIRE" after some books. If you are really in NEED of such a book, SEND MAIL, and Steve will look for it. forfeit the fee. The minimum cost of a book searched for is $10. We do NOT work for nothing. Thanks for understanding. WARNING: Most of these rare books are very expensive new or used. both beginners or the most zealous professionals. best information available for the professional tuner / technician. College textbook quality, but at trade prices. The CD includes all offerings online and in print. A superb book that touches on every aspect of its title. 8-1/2" x 1 1", 216 pages, profusely illustrated with fine photographs and diagrams. The most comp-rehensive book on the subject ever written. Those with casual or professional interest in player pianos will find this book fascinating and indispensable. The non-player aspects of a piano are not covered in this book. For that, you need the book above. 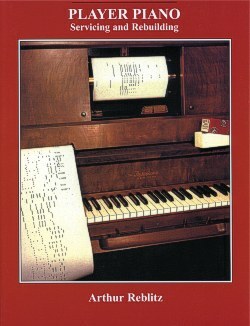 This is the best book I have seen on the piano as an instrument, how it is manufactured, and the history of the piano. Catherine Beilefeldt is deeply involved in a piano restoration company south of Chicago, and the Piano Technician's Guild maintains very close contact with her. This book is used by Guild members as a text book in training curricula. Catherine held three positions with Steinway in her earlier days, and Steinway made a great resource contribution to this book. I have been disturbed, ever since I started my business on the Internet, that I did not have foundation information about the piano and its heritage on the site. Here is is, and every piano teacher, musician, music teacher, concert master, piano store owner, and every aspiring piano technician should have this book. I have learned much while reading this book. In fact, I believe any musician will find this book a great coffee table book by which to amuse his guests who are into serious music. 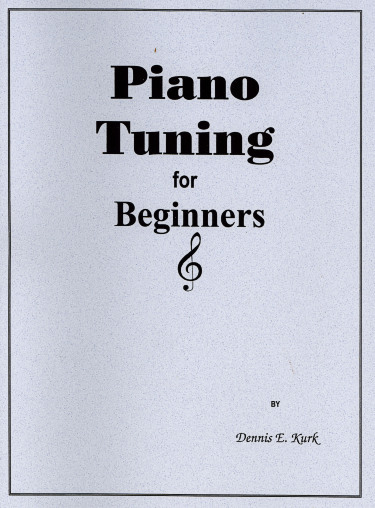 This book does not cover the technical issues of tuning, regulating, and restoring pianos, but it will give you the foundation on which to build your technical and tuning skills. There is an eleven page index. while the tradesman will find the book challenging and instructive. This book cannot be mounted in a three ring binder because it is to large. Dennis Kurk has many years of experience tuning pianos and restoring them. tuning lessons on my CD (see above). This combo includes an audio CD of the beats and sounds of tuning instead of a cassette tape. explains the theory of tuning with notes on harmony, acoustics and temperament. This is more of an "antique" book for historical interest than an up-to-date reference to current piano technology. separate stringing scales, and a wealth of information on stringing procedure. believe the scale on a piano was changed, youneed this book to learn the original scale. president of the Connecticut Chapter, with more than forty years of tuning experience. Finish tune any piano to sound its best-- tune two or more pianos together. and repairing reed organs. Finally a lesson on Professional Hints. next 100 years. 450 pages. 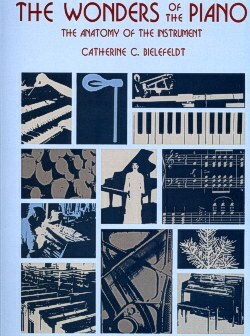 piano rebuilder, this is one of the finest, most informative books available. A classic which should be in every serious technician's library. alert the piano buyer to potential disappointment. subjects covered in the book's 250 pages. most commonly encountered in North American piano production over the years. be helpful to piano technicians, piano teachers and their students. technicians will want to read and own this excellent reference book. 194 pages, hardback, 5-3/4" x 8-3/4". A guide to buying a new or used piano. 244 pages, 8-1/2' x 11" , 4th edition. The author is a Registered Craftsman member of the Piano Technicians Guild.  general information helpful to anyone involved in sales or service of pianos. other pertinent information. This is my personal favorite for this data. This is the most complete piano identifying source on earth. are names and addresses of current manufacturers. Published by The Piano Technicians Guild. time consuming questions will be answered clearly and authoritatively. 152 pages profusely illustrated. Text is in English and German. Charts for all regulation and diagrams of actions. A very detailed, helpful edition. on to make a vocation of it. Covers every phase of grand regulating and voicing. 214 pages, 6" x 9". 55 photos. Invaluable for the starting technician or the experienced craftsman. By DR WILLAM BRAD WHITE, Mus.D. For many years the accepted textbook in many schools and libraries . however skilled, should read and reread to learn more fully the details of the craft. One of the most comprehensive and valuable books the technician can own. Published by American Piano Supply Co.
to society today, and back through 350 years of western civilization. detailed illustrations. Hardback, 9" x 1 1-1/2"
concepts are explained simply and easily for the general reader. 576 pages, profusely illustrated, 6-1/8' x 9-1/4", paperback. An analysis of their relationships in direct blow actions. This is the English version by Jim Englehardt. Paper copy 72 pages, 39 illustrations. A detailed investigation into an important facet of piano manufacturing. hammer. There is also an interesting section on hammer weights. This is the English version by Jim Englehardt. 180 pages, 91 drawings. A discussion on how to needle, file, and voice a new set of hammers. Welte and others invaluable if you do player work. A reprint of the 48 page 1927 manual on servicing the Duo-Art reproducing mechanism. Contains illustrations and tuning scheme diagrams. Ampico action. Includes many illustrations and diagrams. but apply equally as well to the grand. A service manual for the 64-Note and 88-Note Standard Pneumatic Player Actions. equipped with the Standard Pneumatic Action. Illustrated with many photographs and drawings. and will be helpful in servicing these old instruments. The name "Amphion"
appears on the prints, and this is the name of the firm that made the original Ampico. upright and grand Welte-Mignon (Licensee) Models. which was used in so many home players in the 20s. Many drawings and photographs. An excellent booklet on the principles and servicing of the pump type player. and can be troublesome to service because of its odd valve action. The Amphion is considered by many to be one of the finest player actions ever built. The Amphion Piano-Player Co. also built the Model "A" Ampico mechanisms as well. Owners of the Model "A" upright Ampicos will find the manual very helpful. player servicemen-- especially those new to the trade. discussed in an interesting manner. 120 pages. and easy to understand, book on the subject that is in print today.